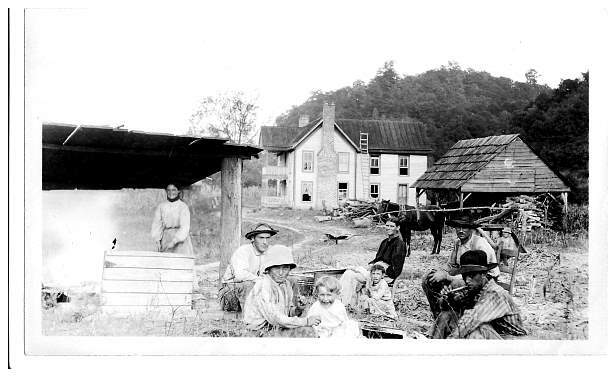 Pictures from Ann Doege (2007) of Hugh Farmer Farm on Clinch River and teachers at Claiborne High School ca 1918. Left to right are: Daniel, Lucy Janeway Farmer, Ethel Farmer, John Guy Farmer, Mary Elizabeth Baumgardner Farmer. 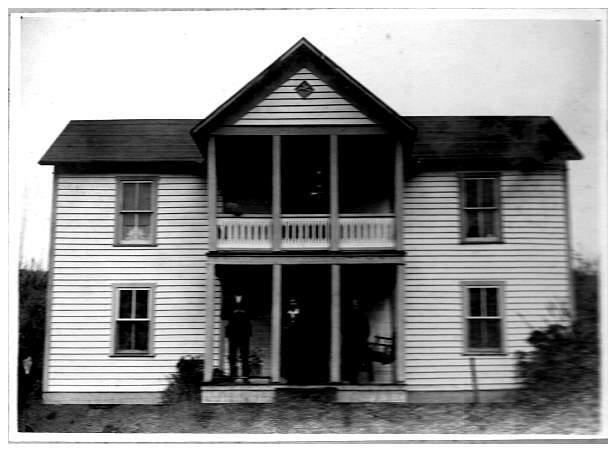 This is a picture of the home of Josephine Farmer Reece and Hiram Reece, Jr. They are making molasses. The woman stirring the molasses is Rosa Reece Clement. I do not know the location of the Reece home. In one of the Claiborne County books there is a photo of Howerton School which it says is in Howard’s Quarter on Big Sycamore Road. Josephine’s son, Bluford is a child in the photo so I expect they lived in that area. 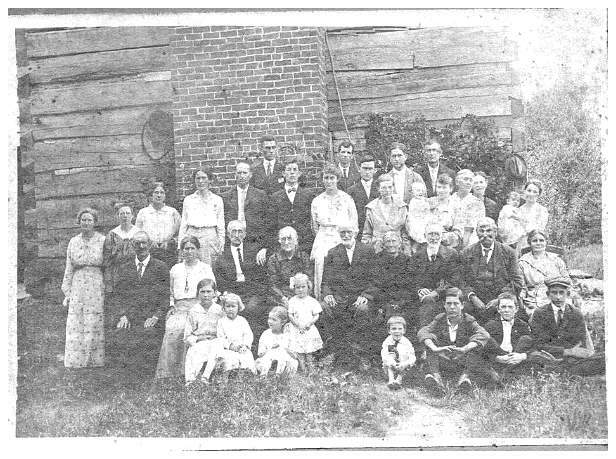 All the people in this photo were identified but the house is still a mystery. For ID and more Farmer, Baumgardner and Stone pics click here. 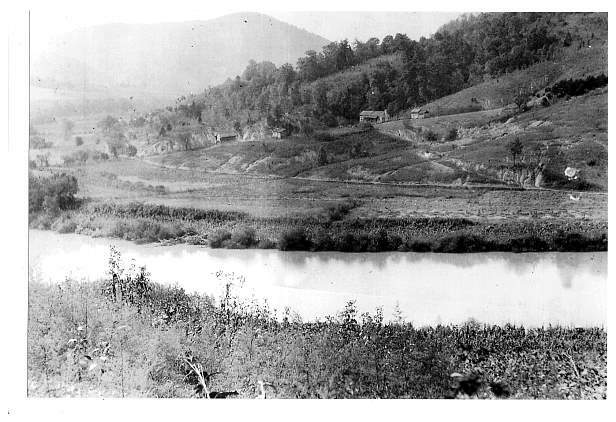 A picture of the Hugh Farmer, Sr. farm on Clinch River along base of Comby Ridge. Daniel inherited the part of the farm on the far left. His sister, Sarah Manila Farmer Loop inherited the portion in the main part of the picture. Maybe the old log house was on her property. The Loops moved to Oregon – I’m not sure when. Ann says, "In the late 1940s my Uncle Guy Farmer took Mother and me by boat to the site of their old home. The water was low enough we could get out and walk about a bit. The stone that was their door step (I think) was still there. That day was very difficult for Mother." 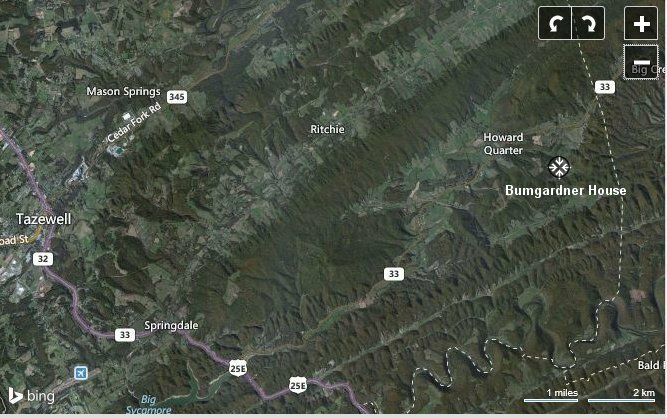 I think that his farm was where Sycamore Creek enters the Clinch River. 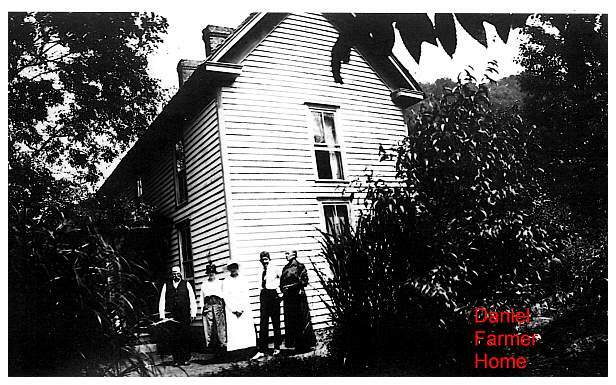 A description of the Daniel Farmer property from TVA as it may help you identify the location. This farm is on the main channel of the Clinch River because of the boundry of Claiborne and Grainger Counties. Big Sycamore Creek is boardered on both sides by Claiborne County. That looks like Lone Mountain in the background. Anyone hazard a guess. The picture next to this is of Daniel Farmer outside a log house structure. Ann Dogde and I both think that this log structure may have been on this property. Zillow image of 1984 Piney Grove Road, just off Hwy. 33 towards Sneedville. Pictures are Charles F. Baumgardner and wife, Lizzie Wilson Baumgardner. Lizzie's mother is also in the picture but I don't know which one she is. Don't know the 4th person. Charlie’s son, James Baumgardner has modernized the house and still lives there at 1984 Piney Grove Road, Tazewell. 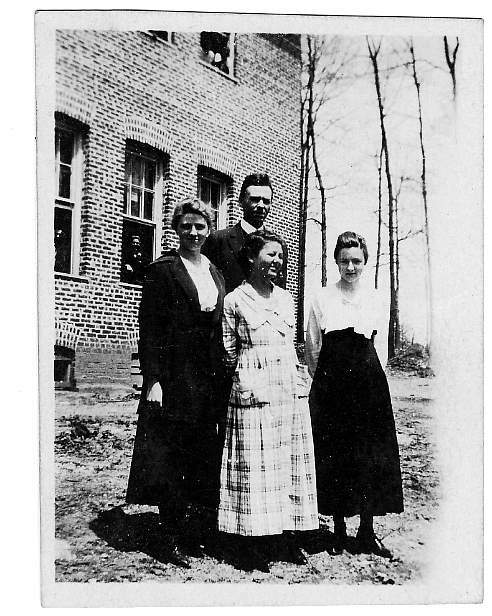 Also will send a photo I just ran across of 4 teachers at Claiborne Co High School which I expect was taken about the time my mother graduated – 1918. Teachers at Claiborne County High School. In center is Miss Wylie. On right is Miss Dempster. Now, my question. One of Hugh Farmer and Roseanne Arnwine's daughters, Susannah Farmer Bones, had in her posession a letter from a Mr. William M. Day telling of Susannah's death. It appears that after Hugh's death Rosanna remarried. Claiborne Co. Pioneer Project has an entry for William M. Day and Rosia Farmer. No dates there but Denny Brubaker repprts an entry in Claiborne County marriage book 1838-1935 of their marriage in 1887 in Claiborne County. Do you have any knowledge of this? I know you have studied the Day family. Evidentally a Mr. Day had a farm next to Hugh Farmer's . 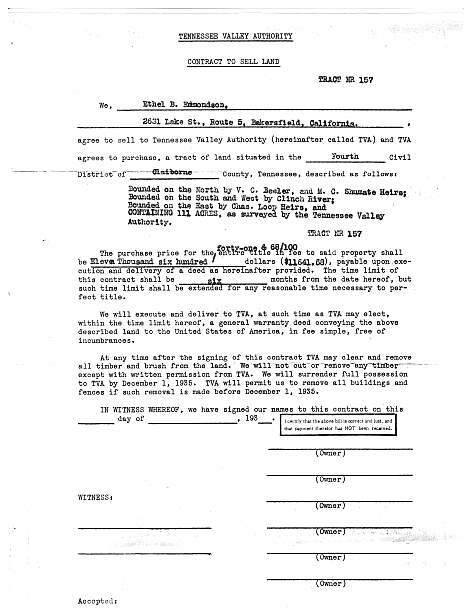 The woman who had this letter, Susannah's daughter, has long since passed away and her vision was too poor to read the letter to get any more details.